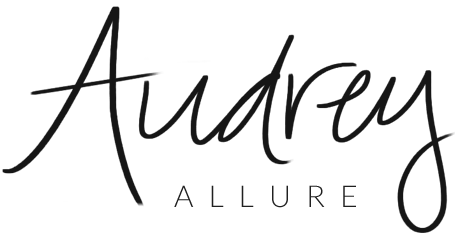 Audrey Allure: Teavana In Bloom + Giveaway! Teavana In Bloom + Giveaway! Teavana offers a large variety of different teas - from white teas, green teas, to herbal, chai, and black. There's even a few tea bars in the city, and I was lucky enough to visit one recently to learn about various brewing techniques and sampling the delicious cups of tea. We were also treated to a brief sit-down, where we given ideas on party decor inspiration + DIYs. The In Bloom Collection, is perfect for any occasion, but most fitting for Mother's Day. It includes a 32oz tea pot, 2 decorative tea tins includes flowering pineapple and lemon marigold blossom white teas. The teas are hand tied in the traditional Chinese way, and it makes it easy to brew. Boil up water, place one of the tea balls into the strainer that comes with the tea pot, pour the water and let it brew. The ball will then blossom beautifully, and when it's ready you can pour for drinking. It may be late for Mother's Day, but it's still a perfect gift for mom. I'm teaming up with Teavana to give one of you lucky readers a chance to win your own In Bloom Collection! Open to those in the US only. Contest ends Sunday, May 17. The collection is gorgeous! I would love to try the tea. I haven't had a blooming tea from teavana in a long time. Thanks for visiting my blog and for your sweet compliment. My e-mail is rachel.garay@me.com by the way, entered. Soothing looking collection of teas! Your blog is vibrant, colorful, and fun to browse! This is fantastic! Great giveaway! This is gorgeous! I'm sure the tea is heavenly. Great giveaway and a beautiful presentation. I would like to try these tea..
Great giveaway. Teavana has some great things. I love Teavana and this set is gorgeous! I love Teavana! I always get so many samples there! Great give-away! Good luck to everyone! I know I love these specialty tea places/companies. They really do take tea to the next level like Starbucks did for coffee, and that packaging is killer. Looks like one I need to try!! Thanks for sharing! I've heard amazing things about this tea! The packaging is so pretty. Great tea set!! Look so pretty!! looks very cool and delicious! I love tea! This sounds super amazing! Thanks for sharing. rescued dog 4 you and I'm using gmail - Thank you! I love a good tea blend! My Husbear bought me a clear tea pot and these lovely tea blooms for Christmas a few years back and it was just divine! I should break them out again. The packaging alone for this tea is just wonderful and dreamy!!! This is so cool, I've always wanted to try one of these bloom teas! I'de love to try these blooming teas!